Well, it's been 2 years I've left this thing sitting. Why for and how come? Well, there's you usual dose of laziness, combined with some apathy. I also haven't been creekin as much, as many of my good friends have moved on to other ventures. I've been focused on multiday boating primarily, and also getting back into rowing after a hiatus to explore the IK side of things. But I think it is time to get things moving again, so I'll be digging out some photo galleries from the highlight trips from the past two seasons. 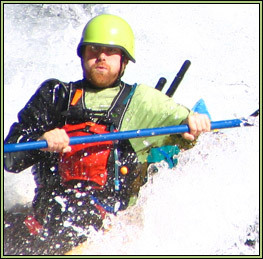 Cascade River Whitewater from Brian Vogt on Vimeo.